Wish you could upgrade to hardwood before the holidays? 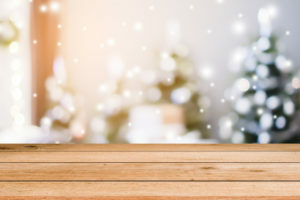 Home » Blog » Wish you could upgrade to hardwood before the holidays? Halloween is just around the corner, and you know what that means… the holiday season will be here before you know it. Thanksgiving, Christmas, Hanukkah, Kwanzaa, New Year’s… the holidays are so special and fun to celebrate with family and friends. But if you’re embarrassed by your old, outdated floors, you may hesitate to host special gatherings this holiday season. But did you know that it’s super easy and more affordable than you might think to upgrade to hardwood? Just enlist the flooring experts at Monarch Carpet, Drapery & Upholstery to help you. Choosing which type of hardwood isn’t difficult or stressful when you partner with Monarch Carpet, Drapery & Upholstery. Our flooring experts are always happy to discuss the different options and offer expert advice so the flooring selection process is as streamlined as possible. What’s especially great about partnering with Monarch Carpet, Drapery & Upholstery is that our flooring comes from trusted manufacturers, so whichever one you choose, it’s going to look and function well for many years to come. Hardwood floors are very popular right now for various reasons. Different hardwoods naturally provide different colors and textures, and the look of your home’s flooring can be further customized by selecting different stains and finishes. Hardwood is also an ideal option because it looks natural, beautiful, and comes with planks of various sizes to give your home that distinctive flair you’re looking for. Whenever sustainably harvested, wood is a renewable resource, so it’s eco-friendly in that respect. If you or a loved one suffers from allergies, wood is a wise choice because it doesn’t trap dust. It’s easily swept away for your convenience and comfort. As long as you take care of your hardwood properly, it should never need to be replaced, so it’s a super smart investment. If you put your home up for sale sometime in the future, potential buyers will be thrilled to see hardwood floors. Check out our wood floors gallery here. Then give us a call at (877) 766-6272 to request an in-home visit from one of our flooring experts, who will be happy to take some measurements and give you a free estimate. 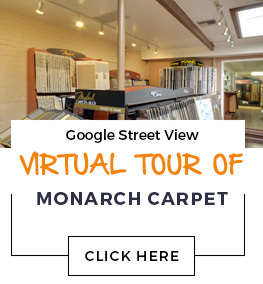 You’re also invited to come to our store, which is conveniently located at 3007 West Temple Street Los Angeles, CA 90026, where you can check out flooring samples in-person and speak with our helpful staff. Get your home ready for holiday entertaining with a little help from Monarch Carpet, Drapery & Upholstery. Now is the perfect time to upgrade to hardwood flooring. Think of it as an early Christmas present that you’ll be able to enjoy this holiday season and for many years to come. It’s such a wise investment! Contact Monarch Carpet, Drapery & Upholstery by calling (877) 766-6272 to start picking out gorgeous flooring for your home. You’re going to absolutely love it.